It started as a dip of low pressure over the Atlantic that gathered a loose circle of sluggish wind. Ruffled, the summer-warmed sea released more moisture as vapor and the pressure went down a bit further. The wind picked up, driving big waves and unleashing more moisture and heat. During the next few days, this chain reaction turned into an atmospheric buzz saw that spanned hundreds of miles: Hurricane Joaquin. As the Category 4 storm bore down on the Bahamas with winds peaking at 140 miles an hour, people evacuated and vessels raced for safety. But one ship did not. On October 1, 2015, the SS El Faro — a cargo carrier whose veteran 33-member crew enjoyed modern navigation and weather technology — sailed into the raging heart of the storm. Everyone aboard perished in what ranks as the worst U.S. maritime disaster in three decades. Investigators from the National Transportation Safety Board (NTSB) were left to grapple with a seemingly unanswerable question: Why? The NTSB launched one of the most comprehensive inquiries in its 50-year history, interviewing dozens of experts and colleagues, friends, and family members of the crew. Then, last August, came the crucial discovery: A robot submersible retrieved El Faro’s voyage data recorder from the three-mile-deep seabed. 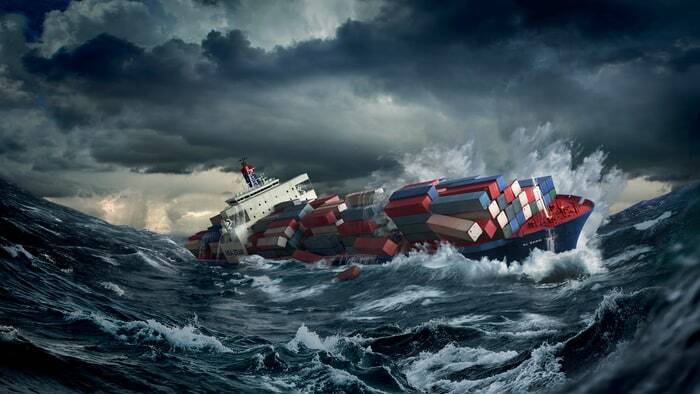 The black box contained everything that was said on the ship’s bridge, right up to its final moments afloat. The transcript reveals a narrative that unfolds in almost cinematic detail, with foreshadowing, tension, courage, and hubris. Like most tragedies, no one factor brought on the disaster — but human error was chief among the problems. This is the answer to the riddle of El Faro’s baffling final path, in the words of the crew members themselves. Read the whole story at Men’s Journal. Just a standard ocean junk, the plane is not anywhere south of 30. I agree – sad how the “deep SIO advocates ” managed to plunder “drift analysis” to fit their own pet theory? Some can even envisage a genteel guild path at sunrise – simply “a little beyond” the previous search area.